Dr. Dieguez Jr. is an anesthesiologist who has practiced in Saint Augustine since 1988. He is a graduate of the prestigious European University of Santiago de Compostela School of Medicine in Spain, a University founded over five hundred years ago in 1495. Coincidentally this was the same medical school that his maternal grandfather had graduated from in 1906. Recently its university hospital was on the news for treating the victims of the most deadly high speed train accident in Spain’s history. After graduation, he served as an unpaid intern in the Department of Surgery at the university under the tutelage of Professor Jose Luis Puente Dominguez, a member of the Royal Academy of Medicine and Surgery of Spain. Upon returning to the United States, he served as a surgical resident in Baltimore Maryland at a Johns Hopkins affiliated surgical program. Later he went on to the prestigious University of Miami, Florida, where he completed his Anesthesiology residency. Dr. Dieguez was born in Cuba and arrived in the United States as a child in 1964 completing his elementary education and high school in the US before moving to Europe where he lived for eight years. While in Saint Augustine. In his 30 years in Saint Augustine, he initially practiced at the old Saint Augustine General Hospital. He provided anesthetic care and ICU care for all types of major surgical cases utilizing both general anesthesia and regional anesthesia. Later he joined the Flagler Hospital Department of Anesthesia, a department that he later chaired. 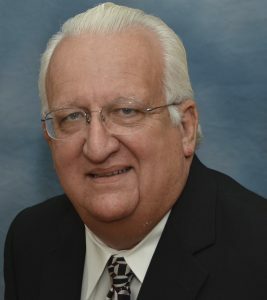 While there, he was instrumental in organizing and recruiting physicians for the first clinic in Saint Johns County dedicated to the treatment of acute and chronic musculoskeletal conditions. As an anesthesiologist and with his surgical background, he has always being dedicated to the relief of suffering from acute and chronic musculoskeletal conditions utilizing his skills in regional anesthesia and surgery. At present Dr. Dieguez Jr., while still holding staff privileges at Flagler hospital, is dedicated full time to the care of patients suffering from both acute and chronic musculoskeletal conditions at his own private office, located in the Flagler Hospital campus Reuben J. Plant building suite # 4, at 120 Health Park Blvd. in Saint Augustine, Florida 32086 right next to the Flagler Wellness Center and the Healing Arts Urgent Care walking clinic. There, in his modern fully equipped top of the line Interventional Procedures suite, he carries out on a daily basis the full gamut of procedures such as precision fluoroscopically and ultrasound guided injections directed at the relief of chronic conditions such as: sciatica, spinal stenosis, back strain, back discomfort, failed back surgery, tailbone discomfort, herniated disc, spine fractures, hip bursitis, shoulder bursitis, rotator cuff tear, tennis elbow, golfer’s elbow, muscle strain, carpal tunnel nerve compression, joint arthritis, sacroiliac joint discomfort, trigger finger, trigger thumb, intercostal neuralgia, diabetic neuropathy, ganglion cyst, fracture rib discomfort, plantar fasciitis, occipital neuralgia, shingles, post herpetic neuralgia, and many more. Because of his expertise Dr. Dieguez Jr. receives referral from many physicians in Saint Augustine and the surrounding area, including family doctors, primary care physicians, neurologist, all the major local orthopedic groups and even the Mayo Clinic. He feels honor for the trust that these physicians have placed in him. In his constant pursuit to increase his armamentarium to treat his patients, Dr. Dieguez also trained at the University of Miami Department of Complementary Medicine in the ancient art of Medical Acupuncture. He feels honor to have learned this modality under the tutelage of the distinguished Chinese Professor Dr. Fu Di, now Vice President of the prestigious Atlantic Institute of Oriental Medicine in Fort Lauderdale, Florida. Acupuncture has been around for thousands of years in China. It originated in China more than 2000 years ago, making it one of the oldest and most commonly used medical procedures in the world. Modern western medical theory cannot be ignored however, but combining it with traditional Chinese medicine (TCM) may have added benefits. UCLA continues to use acupuncture as one of its main modalities for the relief of many chronic musculoskeletal conditions. Additionally, we are proud to offer to our patients Interventional Orthopedic and Regenerative Medicine techniques such as Autologous Adult Stem Cell therapy, Platelet Rich Plasma (PRP), and Hypertonic Glucose Prolotherapy, all cutting edge revolutionary technology, as a non-operative alternative for the treatment of many musculoskeletal conditions such as arthritic joints, ligament and tendon injuries such as rotator cuff tears, plantar fasciitis, tennis elbow, golfer’s elbow, and other ligaments and sports injuries. The stem cell are obtained from the patient own bone marrow, and the PRP from the patient own blood so there is no risk of allergic reaction or disease transmission. We are proud to have introduced this most advanced interventional orthopedic techniques to Saint Augustine and Northeast Florida. Attention to the patient’s comfort and well being is assured during every step of the visit to Dr. Dieguez’s office. Simply put, “preceding, during and following treatment of your condition, his staff and Dr. Dieguez will make every effort to see that you received the best and most sensitive care available”. At your scheduled appointment time, you can be assured that you will be seen on time without any undue delays. Please visit the office Facebook page at https://www.facebook.com/WellnessAndRegenerativeMD/ for upcoming schedule events, additional information about the office, and interesting videos about common procedures . Call today to schedule a consultation with Dr. Dieguez at (904) 827-1455. You will be glad you did!